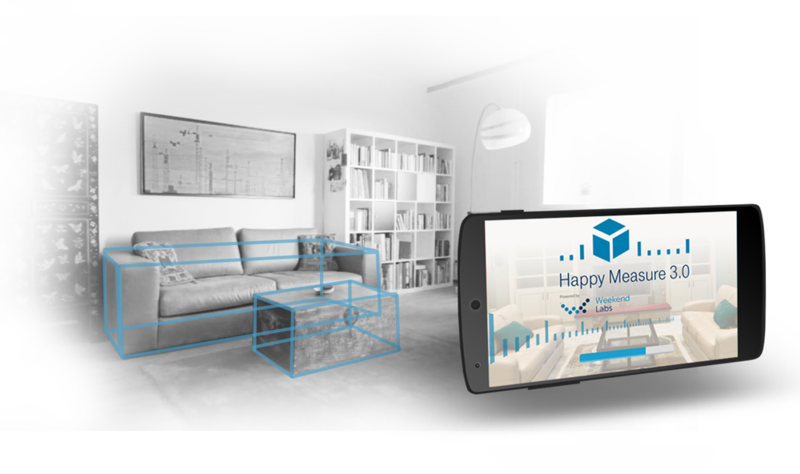 Happy Measure is a new zero cost and advertisement free App that helps you with room planning for interior decoration and interior design. 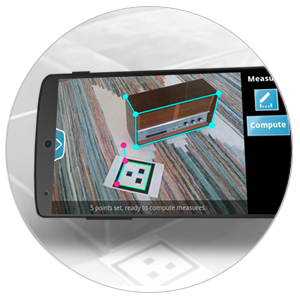 With Happy Measure you can measure and easily create 3D colour models of everything in your home, from sofas, chairs, tables, cupboards to glass cabinets or other furniture and place them virtually anywhere using our unique patented augmented reality and 3D visual modeling technologies. This is a simple and quick way to find out whether furniture will fit in a new space – without having to physically move objects around the room. All you do today is print out our marker, and place it besides the object and Happy measure automatically digitises it as a 3D model within the App. Finally place the marker at your preferred spot and your display will visualise that object virtually placed at that spot. 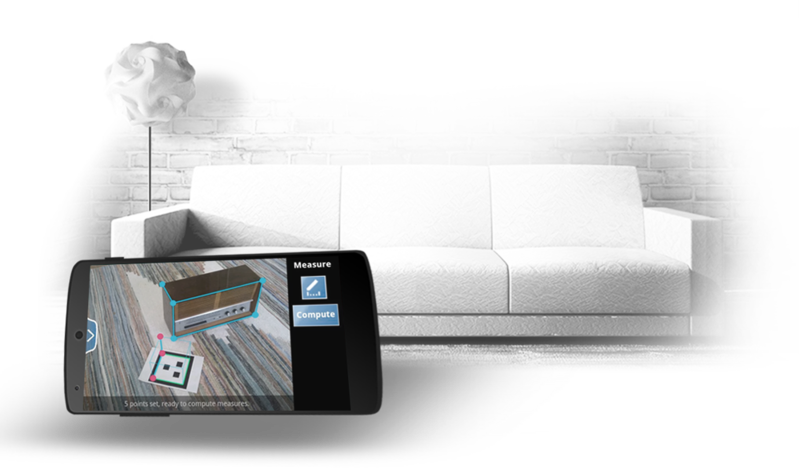 The app is your measuring tape and personal room-planner - do your interior design by yourself. Download Happy Measure and try it for yourself! 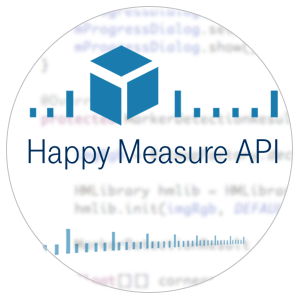 We are pleased to announce the release of the Happy Measure API for 3rd party developers to create their own apps that require 2D and 3D measurement and modeling. If you wish to create applications requiring these capabilities feel free to contact us. 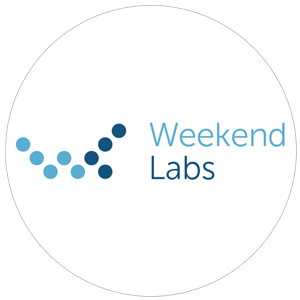 Weekend Labs was founded in late 2014 as a technology spin-off based on patented technologies from Telekom Innovation Laboratories in Berlin by two of their researchers, Dr. Rahul Swaminathan and Simon Burkard. Our expertise lies in the research and development of mobile applications based on computer vision. We as Weekend Labs aim at providing innovative solutions, services and consultancy in key areas of augmented reality and other applications. 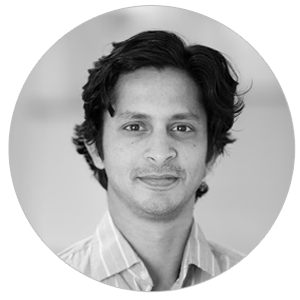 Dr. Rahul Swaminathan obtained his PhD from Columbia University in the city of New York in 2003 and has since then pioneered research and development in the areas including computer vision, robotics and augmented reality. With numerous publications and patents to his name he is a also Senior Scientist/Expert at the Telekom Innovation Laboratories. 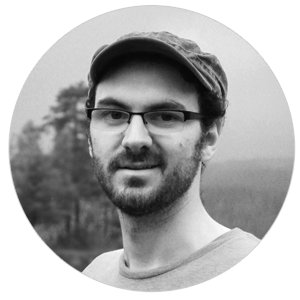 Simon Burkard received his Master of Science from the Technical University of Berlin in 2015 and has been working in the area of vision and augmented reality for the past 4 years. © Copyright 2015 by Weekend Labs UG. All Rights Reserved.